While other coaches are preparing to evaluate high school talent at 5 p.m. on Wednesday, Lehigh coach Brett Reed is in Los Angeles for the ESPYS. He got to L.A. on Tuesday and went out with local alumni who wanted to talk basketball, specifically Mountain Hawks basketball. This probably wouldn't have occurred had Lehigh not beaten Duke in the NCAA tournament's second round last March in one of the two most significant upsets of the tournament (the other being Norfolk State over Missouri). Lehigh, a small, private school in Pennsylvania, is drawing some buzz for the upcoming season. 1. C.J. McCollum is a coveted player. McCollum, who scored 30 points and dished out six assists versus Duke, is one of the top returning guards in the nation. He quietly declared for the NBA draft, but was never seriously going to stay in the draft. Reed said McCollum simply wanted to find out where he stood from the NBA's Advisory Committee. 2. The schedule nightmare Schools like Lehigh, from lesser-known conferences, struggle to get high-profile nonconference games after a successful season. And if most of their players return and they have a potential All-American (McCollum), the schedule is even tougher to fill. Reed said he still needs four games, but he has a few potential power-rating matchups. Lehigh will be in the Pitt pod for the NIT Season Tip-Off. The NIT is the one November/December neutral site-bound tournament in which the semifinalists aren't set. So, Lehigh could get to New York if it beats Pitt (the other teams are Fordham and Robert Morris). The other three "host pods" are at Kansas State, Virginia and Michigan. Lehigh will open the season at Baylor in an attempt to give New Orleans/Houston transplant Mackey McKnight a "home" game. And just prior to the Patriot League season, the Mountain Hawks will play at VCU. Games at Pitt, Baylor and VCU that should help bump up the RPI. Winning at least one would help. 3. Improvement of McKnight McKnight has spent the summer working on his shooting mechanics. He has increased his percentage in each of his two previous seasons, from 34 to 44 percent overall and 32 to 36 percent on 3-pointers. The 6-foot sophomore guard, who plays next to McCollum in a small backcourt, has already seen improvement this summer. Lehigh is also banking on Jesse Chuku, a 6-foot-7 forward from London, to make an impact. He tried out with the Great Britain national team which earned a host bid for the Olympics. 4. Interest in the program Reed doesn't go to L.A. without the victory over Duke. And the alumni certainly wouldn't be requesting to see him without that win. The overall buzz doesn't exist on campus if it weren't for the team's run in March. 5. Motivation for not winning the league The Duke win and subsequent loss to Xavier shouldn't cloud the fact that Lehigh didn't win the Patriot League's regular-season title. It had to beat league champ Bucknell on the road to earn the NCAA automatic berth. The repercussions from Norfolk State's win over Missouri and Lehigh's win over Duke -- the first 15-over-2 upsets in the NCAA tournament in over a decade -- are still being felt like tremors across both campuses, both leagues and both bank accounts for each of the head coaches. Just one win, even if it's just in the NCAA tournament's round of 64, has enormous consequences for a school that doesn't normally sit on this stage. "It has created some very positive reactions for our department as well as our institution," Norfolk State athletic director Marty Miller said. "We've been recognized by the city of Norfolk. It gave recognition to the city. The students became more enthused about the programs." Miller said the Spartans' upset of 2-seed Missouri has increased interest in all sports on campus. Putting a dollar figure on the improvement can't be measured just yet, but Miller anticipates an increase in all season tickets in all sports. And that's not the only thing increasing. Miller had to pay head coach Anthony Evans, too. Evans previously had one year remaining on this contract, but said he received a five-year contract extension and his salary went from a modest $125,000 to the range of $180,000 to $190,000. Evans said recruiting has already changed. The visibility of the win put Norfolk State on the map, when it may not have been recognized by recruits before the upset. NSU isn't suddenly getting higher-level recruits, but within its sphere, the Spartans certainly have more name recognition than in the past. "There were a number of calls that we weren't getting early on, but since we came back from the tournament they are pursuing us instead of us having to do it to them," Evans said. "The enthusiasm has been incredible. Everyone seems to be smiling here all the time now. The faculty, the staff, the students, there have been great responses from everyone." Up at Lehigh, head coach Brett Reed said there hasn't been a formal contract offered, but there are new terms being discussed. He said he's optimistic that he will have a new deal. The Mountain Hawks, like the Spartans, have had an enthusiasm uptick for their teams after their tourney win over Duke in Greensboro, N.C.
"There is a greater awareness of the university as a whole," Reed said. "It's tangible. There were 8.4 million who watched the game live. I was sent newspaper articles from Baton Rouge and Los Angeles where Lehigh was on the front page. That's major for our institution." Reed said there was also an alumni connection that occurred with the win. "They were like rock stars and anyone who had a connection to Lehigh felt great about their experience, even if they never participated in sports," Reed said. The shelf life could be short, though. Take it from Fang Mitchell of Coppin State, the dean of MEAC coaches whose Eagles also pulled a 15-2 upset out of the MEAC, defeating South Carolina in 1997. "I don't know if it becomes as big in terms of people remembering it," Mitchell said. "We've won three out of the [MEAC's] six [NCAA tournament] victories and I don't think people recognize that. But if you do mention that we're in the same conference as Norfolk State that can help in recruiting right now. "But people get amnesia quick. We need to keep having those big-type wins. It won't help me. It might help Norfolk." Evans is trying to schedule up and take advantage of the March momentum. He said he has Illinois, Seton Hall and Iowa on the schedule. He also said he's confident the 34-point loss to Florida in the round of 32 doesn't taint the history that happened two nights earlier. "No one gave us a chance in [the Missouri game]," Evans said. "Every time the matchup was announced, we weren't even mentioned. We played with nothing to lose. We were Cinderella and that will be remembered more. We don't talk about [the Florida game]. The Missouri win was something historic." 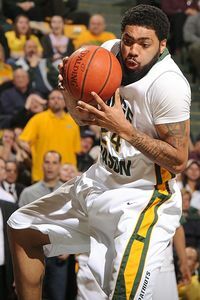 The problem for Norfolk State is that its most recognizable player is gone. The Spartans lose senior center Kyle O'Quinn, who scored 26 points and grabbed 14 rebounds in the upset of Mizzou. "It was great, though, having Kyle play so well at Portsmouth and being the MVP of the Portsmouth [NBA] Invitational," Evans said. "People will see that we had an NBA player, and that could attract others." As for the Mountain Hawks, they still have a future NBA player. Lehigh returns C.J. McCollum, who could have decided to enter the NBA draft and been a likely first-round pick, but instead decided to return for his senior season after averaging 21.9 points, 6.5 rebounds and 3.5 assists a game. 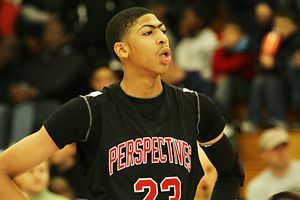 He scored 30 points and had six rebounds and six assists in the five-point win over Duke. McCollum scored 14 points and had eight boards in the 12-point loss to Xavier two days later. The Mountain Hawks also bring back second-leading scorer Gabe Knutson, fourth-leading scorer Mackey McKnight and key contributor B.J. Bailey. "We have a strong nucleus back," Reed said. Lehigh is looking at a game at Baylor and Reed said there are a few other options to get games against major-conference teams. The Mountain Hawks no doubt will be the favorites in the Patriot League and with McCollum will generate quite a bit of buzz with NBA scouts hanging around gyms every stop on the schedule. So Lehigh has a chance to stay nationally noticeable, while Norfolk State will have a tougher challenge. But regardless of what the 2012-13 season may bring, the Mountain Hawks and Spartans will always have that one unforgettable night of March 16 -- a night that still resonates six weeks later and likely will continue to do so for the foreseeable future.